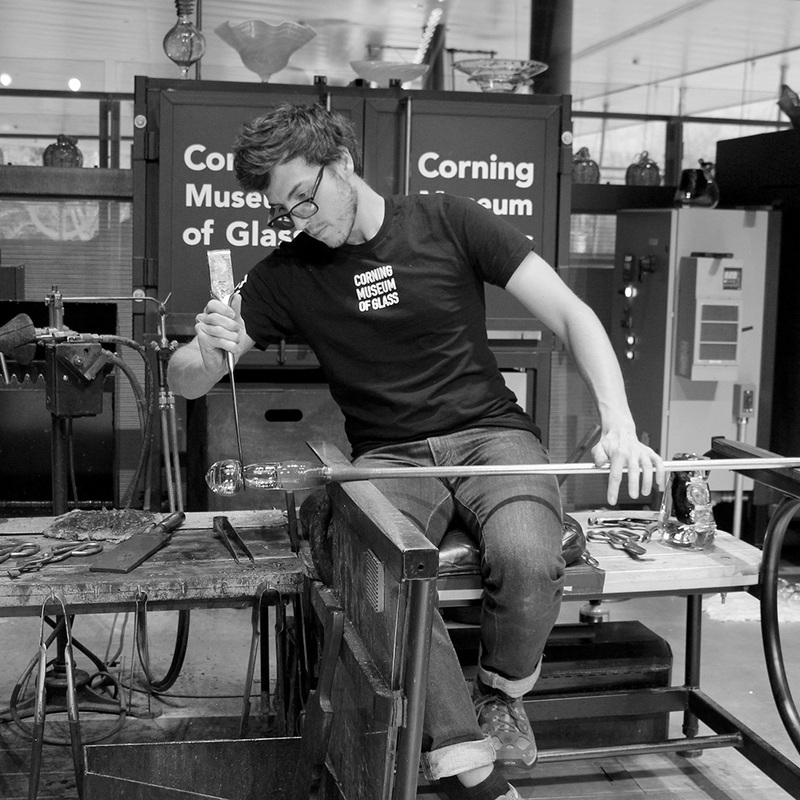 Watch live as Jared Rosenacker, a member of the Hot Glass Demo team, demonstrates his talents as an artist in the Amphitheater Hot Shop on August 3 from 6 to 8 pm. Jared Rosenacker became fascinated with glass while attending Bowling Green State University. He was captivated by its power and shifted his focus to the arts, an unexpected venture that continually reveals deeper layers of meaning. For him, a correlation exists between transforming the glass into a vessel, and the way glassmaking has become a vessel that has taken him around the country and now around the world. Through travel, Rosenacker obtains knowledge and understanding, which he now expresses through his work. Jared Rosenacker became fascinated with glass while attending Bowling Green State University. He was captivated by its power and shifted his focus to the arts, an unexpected venture that continually reveals deeper layers of meaning.